Effective implementation of innovation in the context of economy globalization requires entering into cooperative relationships with other companies and market participants. Business environment institutions (BEI) constitute one of the most important elements of efficient innovation system. They support companies and facilitate the flow of knowledge and technology between science and businesses. There are not many research on cooperation between enterprises and BEI carried out in regional context, especially on cooperation between Polish and Belarusian companies. The research problem refers to a small impact of cooperation between enterprises and BEI on the possibility of effective implementation and supporting innovation development in Podlasie region in Poland. 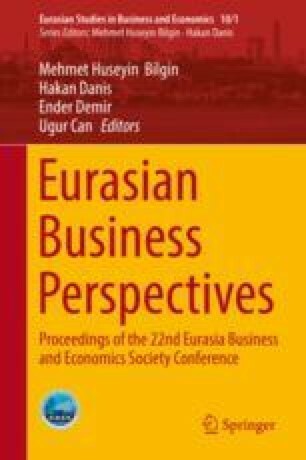 This article presents the results of studies which took into account factors that affect the level of cooperation between BEI and companies representing the leading branches in north-eastern Poland and in Belarus. The methods of critical analysis of the literature and statistical analysis of data have been used. It was found out that the existing forms of mutual cooperation between businesses and BEI are not used effectively enough to support innovation. In order to increase the innovative activity of enterprises it may be necessary to develop cross-border cooperation, inspired by the cooperation programs developed by local authorities. The research have been carried out the framework of work S/WZ/3/2015 and founded by the Ministry of Science and Higher Education. It was the part of the international research project “Readiness of enterprises to create cross-border networking” are presented below which was implemented between 2014 and 2016 on the basis of an agreement between the Polish Academy of Sciences and the Belarusian State Academy of Sciences.